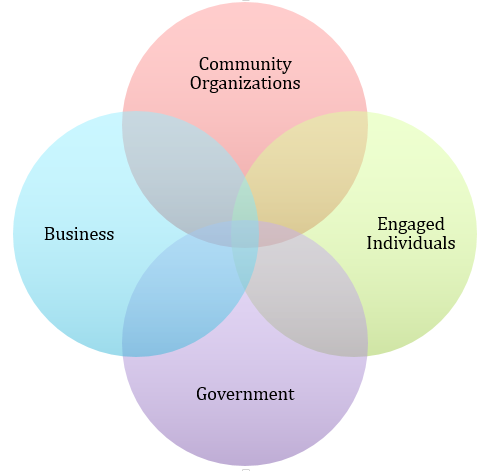 Discover Collective Impact and advance your community's agenda with proven tools and techniques. Join internationally recognized trainer and community builder, Liz Weaver, for a workshop that dives into the collective impact approach and how you can use it to enhance the impact of community change efforts. 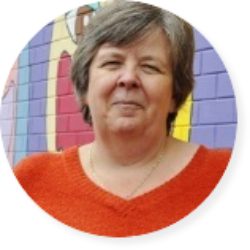 Prior to joining Tamarack, Liz was the Director for the Hamilton Roundtable on Poverty Reduction, which was recognized with the Canadian Urban Institute’s David Crombie Leadership Award in 2009. In her career, Liz has also held leadership positions with YWCA Hamilton, Volunteer Hamilton and Volunteer Canada. In 2002, Liz completed a Masters of Management through McGill University and her thesis Storytelling and the Voluntary Sector was published. Liz was awarded a Queen’s Jubilee Medal in 2002 for her leadership in the voluntary sector and in 2004 was awarded the Women in the Workplace award from the City of Hamilton.